The IPL 2018 SRH vs MI live streaming of the ongoing Indian Premier League season 11 will be available on April 12. You will be able to watch live cricket match today online on Hotstar, Jio TV, and AirTel Live TV application for Android and iOS. The live telecast will be done by official broadcasters – Star Sports network. 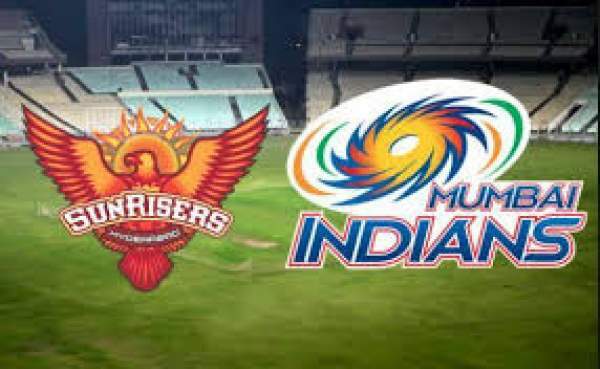 Today, Sunrisers Hyderabad and Mumbai Indians are going to square off each other in the seventh IPL match of the year. MI will need to be cautious while facing the bowling attack of SRH. The MI vs SRH IPL t20 game will start at 8 pm IST on Thursday. The toss will take place at 7:30 pm IST, 30 minutes before the match actually starts. The English commentary viewers can watch it on Star Sports 1 /HD and Star Sports Select 1 / HD. While, the Hindi commentary cricket fans can go to Star Sports Hindi 1 / HD. However, if you don’t have TV or can’t watch it on television, then you can enjoy the srh vs mi live streaming on smartphones and computers by going to Hotstar.com, Hotstar app, etc. Both the teams suffered different fates in their previous match this year. They had contrasting fortunes. On one hand, Sunrisers Hyderabad had hardly to fight as they won by 9 wickets against Rajasthan Royals. On the other hand, Mumbai Indias seemed to be nothing against Chennai Super Kings (CSK) as they lost by 1 wicket in this IPL opener. On the papers, Sunrisers appear to have the most diverse bowling attack of all teams in IPL 2018. Bhuvneshwar is ready with his seam and swing, Billy with raw pace, and Siddarth to hit the deck. Rashid has his leg-breakers and googlies – a mystery for most of the batsmen, and Shakib will deliver his orthodox left arm spin. While, Mumbai Indians are known to be slow-starters in this marathon and filled with a wide array of stars. MI skipper Rohit will have to ask his batsmen to score more as 165 runs weren’t enough for a good tracking wicket. And in this shortest cricketing format, everybody wants to score as runs as possible. For MI, Evin Lews, captain Rohit, and Kieron Pollard have the capabilities to score a power and huge total. The young leg-spinner Mayank Markande got the big benefits from the last match as he got take wickets of Ambati Rayudu and MS Dhoni in his debut game. Mumbai need to improve their death bowling attack as Jasprit Bumrah, Mustafizur Rahman, and Mitchell McLenaghan weren’t able to bowl their best deliveries on the other night in Wankhede. Bravo went on a rampage that day. Hardik Pandya seems to have been affected by his ankle injury. Now speaking of the Sunrisers, they got a good start in the tournament with their new captain Kane Williamson. Shikhar Dhawan is carrying his blazing performance.